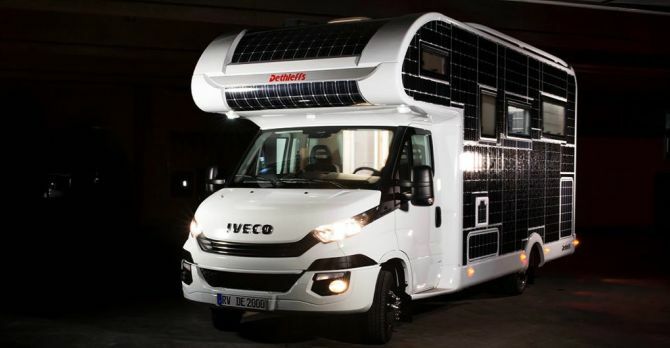 It is built on Dethleffs Iveco Daily Electric chassis that’s is powered by a 107-hp electric motor with a variety of battery options. 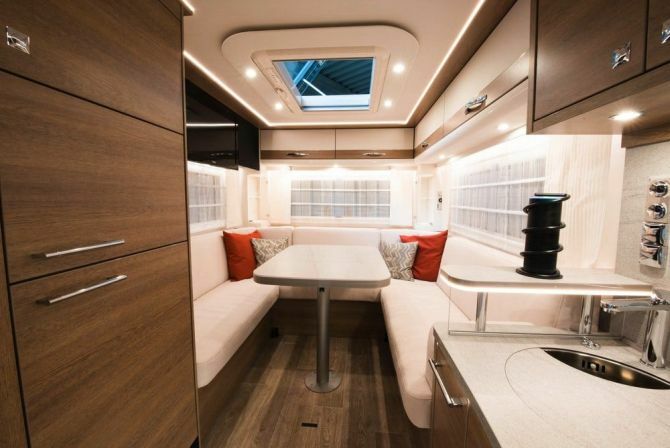 However, the largest one gives it a range up to 174 miles on the European Cycle, in non-camper trim. 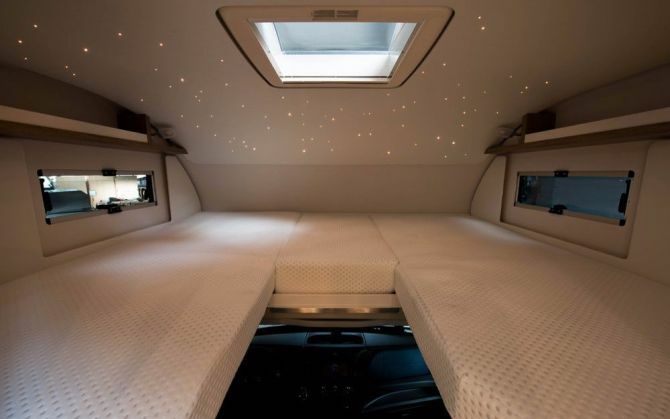 Due to the extra weight of the camper, the range of the e.home concept even drops to just over 100 miles. This short driving range won’t really matter – as the e.home is covered with 334-square-feet of thin-film solar panels. These solar panels are able to harness up to 3,000 watts of electricity to power the 228-Ah sodium-nickel-chloride battery. Interior is decorated with cream-colored dinettes and contrasting wood paneling. 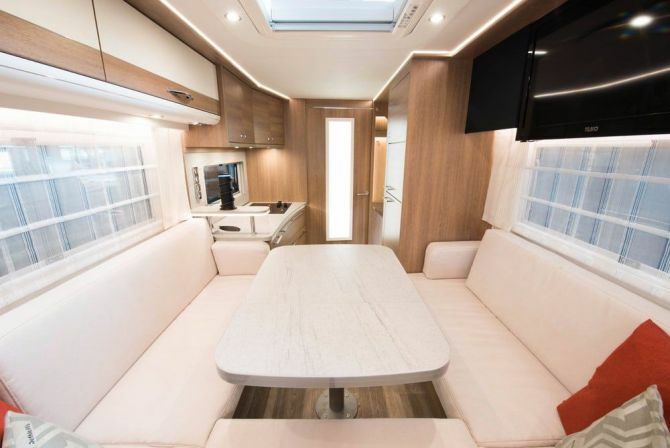 All of the interior equipment runs off the motorhome’s batteries – even a ceramic range in the kitchen allows you to cook meals electrically. 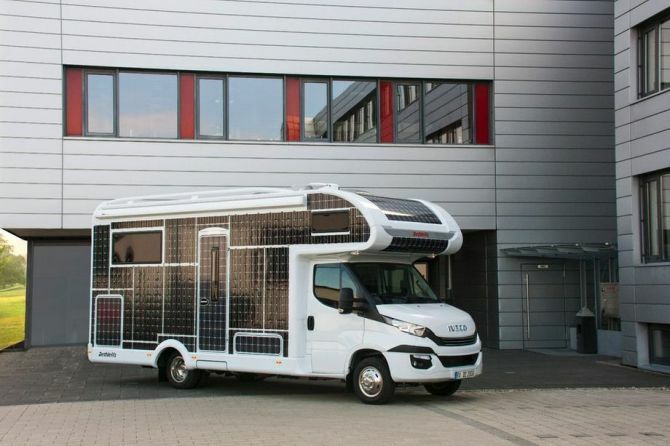 Besides the solar panels and electric motor, it is loaded with other facilities like a heating system that uses phase change materials to absorb heat when the outside temperature rises above 79-degree-Celsius. The heat energy is further released into the cabin when the temperature drops at night. Moreover, infrared heating panels in the floor, walls, and furniture keep the interior warm during winter. Apart from that, ehome also has some driver assistance technologies, including Mobileye-based front vehicle monitoring system and the CampConnect app to let you monitor different functions on-the-go via a smartphone. The e.home design is still in the concept stage, hence, there’s no pricing or timeline on when will its production start. 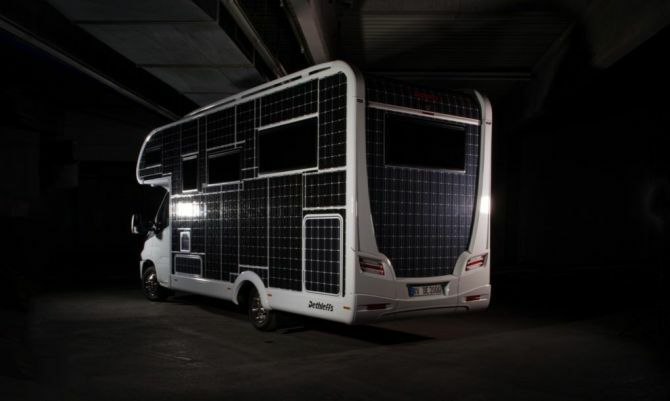 However, considering its exterior covered with many solar panels, it won’t come cheap.